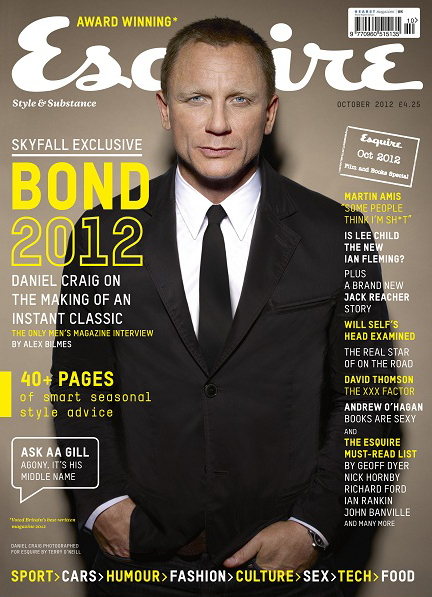 Daniel Craig covers Esquire UK‘s October 2012 issue. 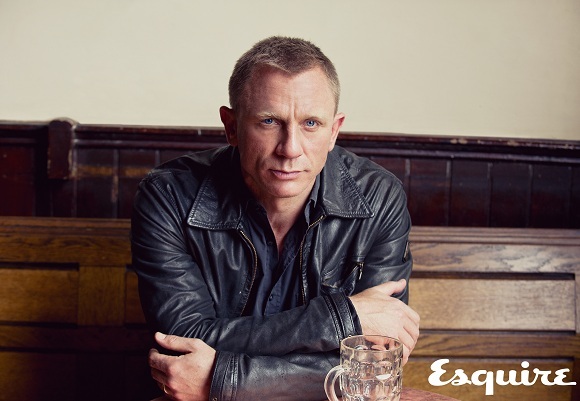 Here is what the 44-year-old actor had to share with Esquire UK. I think what’s always fantastic about the Bond stories is that there’s always a darkness involved, but it’s a darkness with a sense of humor. A black humor. It’s about danger, but a good danger, because you’re in the hands of somebody who’s saying ‘F–k you’ to risk, ‘F–k you’ to dying. 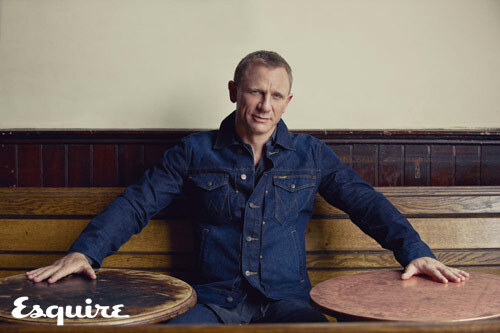 Bond movies live or die on their popularity. They force you to care about what people think. And I’m involved [in the films] on a very deep level. I have it in my mind all the time… So there’s that kind of pressure, and that’s an enemy in any art form, acting especially. It’s a very showbizzy story. I was at Hugh Jackman’s house in New York. It was a soiree – we were in a play together – and Sam was there. 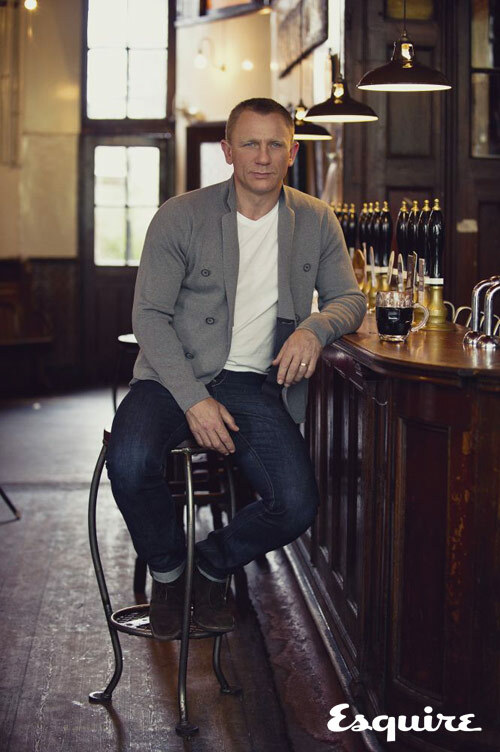 I’d had a few too many drinks and I went, ‘How do you fancy directing a Bond?’ And he kind of looked at me, and he went, ‘Yeah!’ And it snowballed from there.